Tooooooooot! 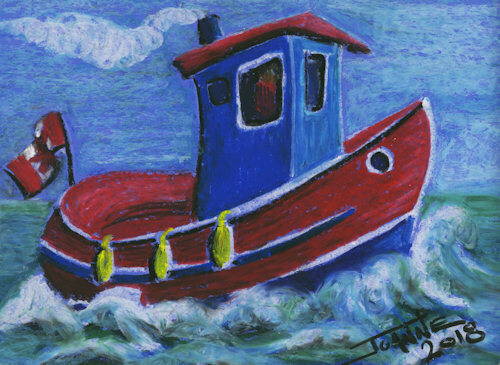 A charming little tugboat in Oil Pastel. Fun shapes, tons of shading and ocean waves!